One line of code at a time. 1 Codebase. 5 Platforms. From scratch. Audible Edition. Dead Tree Edition. Finished Feb 2018. Final score: 2 / 5. I got this book at a heavy discount, and I was in the mood for mystery. I got bored waiting for the talking to stop and the murder to start. Well, this book was a snoozer. Kate Shugak is a native in a podunk Alaskan town working in enforcement. And that summarizes at least 3/4 of the book. I kept waiting for some actual MURDER to happen. OK, got some backstory going. Fine. You are cold. Yes, Alaska is cold. The town is boring. Your cousin wants to move back to Anchorage. I thought: How could I go wrong? The author's name is Dana Stab 'em NOW!! I was wrong. I would've abandoned this book a while ago except it is short. I looked online and saw some people seemed to enjoy this book. I did some research on why. It seems people like Alaskan themed novels. I didn't know that was an actual genre. In a strange way... maybe that makes sense? What else is there to do during the bitter Winter up there? I found this story dreadfully boring. If you want a good murder-in-podunk, I recommend reading Shoot the Moon by Billie Letts. It's about a small town cold case that suddenly came back to life. The characters have hearts, and there are plenty of twists. If I gave it a real review on this blog, I'd probably rate it a 4. This Kate Shugak book gets a 2 simply because the author did tie up all the loose ends. I could see the appeal. It just wasn't for me. Get this audiobook for free with Audible. 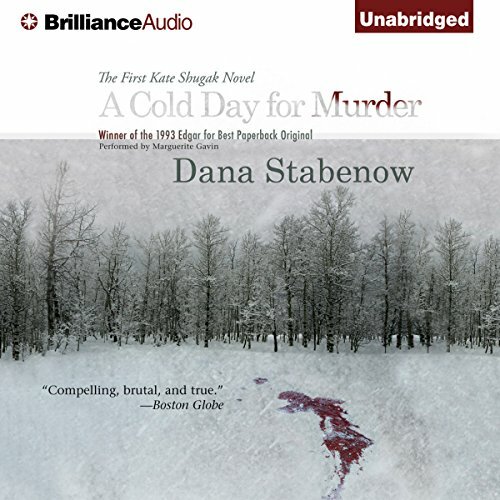 Discuss A Cold Day for Murder in the forums. Dan Nagle is a SW Developer and the founder of NagleCode. His apps have been downloaded hundreds of thousands of times and have been featured all over the internet. He resides in Huntsville, AL. Copyright © NagleCode 2007 - 2019.